Create a dazzling display throughout your landscape with the delicate and rare Double Oriental lily mixture. Featuring a splendid variety of frilly double lilies in pink, soft red, white and raspberry hues, they will create an eye-catching presentation that you'll love showing off. With no anthers, the Dutch-sourced perennials are ideal for any gardener with allergies to pollen. Design a lovely cottage garden full of life and soft colours with the pink oriental lilies. These Dutch-sourced lilies (Lilium oriental 'Double Mixture') flourish in climate hardiness zones 3 to 10 and love spots in the garden where they'll receive full or partial sun. Plant your double Oriental lily mixture bulbs in the fall for mid to late summer blooms. 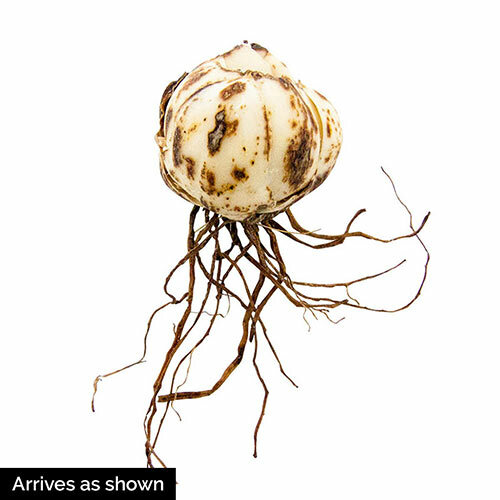 These breathtaking beauties require well-drained soil, and will tolerate clay, loamy and sandy soil. For the best results, plant the bulbs 6 inches deep and about 9 to 12 inches apart. 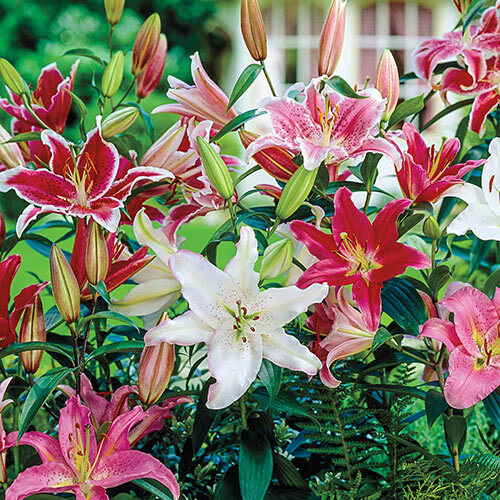 Add these showy pink oriental lilies to flower beds with dahlias, peonies, irises and gladiolus for an exquisite arrangement. Use the lilies as landscape borders or plant them in masses for bold displays of colour and summer cheer. Enjoy the many soft hues of the double Oriental lily mixture in your garden.